This April 15, we mark the centennial anniversary of the sinking of the unsinkable ship, the RMS Titanic. 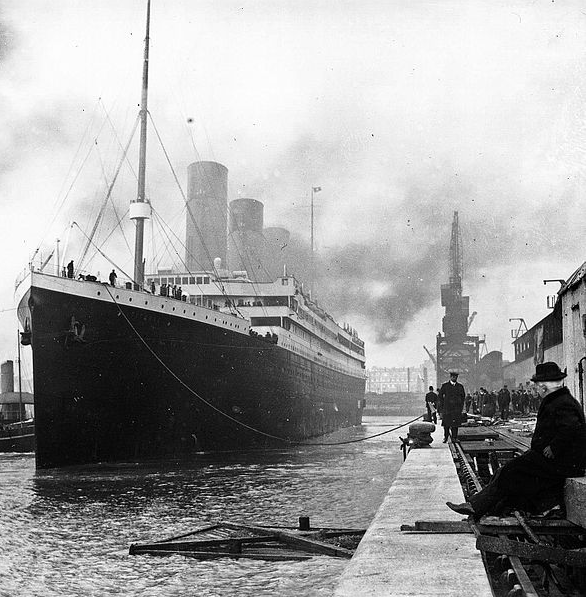 Back in 1912, the Titanic was the grandest ship of its kind. No one could stop talking about the massive size of the ship. The ship was made in Belfast, Ireland, where today, travelers can see the historic city where one of the world’s greatest ships was built. Of course, the world remembers the Titanic today for very different reasons. The ill-fated ship met with disaster on its maiden voyage when it hit an iceberg in the middle of the Atlantic Ocean and eventually sank to the bottom of the sea in the early morning hours of April 15, 1912. The world is not new to disasters, but somehow, the story of the Titanic is so deeply ingrained in our collective consciousness. It seems like it is one of the few tragedies in the world that has struck a chord with people, no matter what part of the world. It ranks up there with the 9-11 World Trade Center bombings. Just look at the Oscar winning movie of James Cameron, Titanic, which everyone knows is a fictional love story based on the factual events that led to the sinking of one of the engineering masterpieces of its time. It’s been rebooted and is now in 3D. The movie on the ship’s sinking grossed more than a billion dollars around the world, proving that there’s something about the ship’s story that tugs at our heartstrings. Perhaps the reason why the sinking of the Titanic resonates with so many people in so many countries is because of the various lessons that it has taught us. After all, if we don’t learn from the mistakes of others, we are bound to repeat them. What made the Titanic so memorable is that the impossible happened. The unsinkable ship sank! When it went down, it caused the deaths of more than 1,500 passengers, making it one of the biggest peacetime maritime disasters of all time. The sinking of the Titanic is a reminder to everyone that no matter how big, overwhelming or powerful something is, it too will have an end one day. This can go both ways. For those who have reached the pinnacle of life, then it is a reminder that you either have to keep striving or that one day, it will be someone else’s turn. Monuments and skyscrapers built all over the world will one day crumble. Tyrannical governments, Herculean problems, poverty, hunger, hardship and other challenges in life will have an end. For the Titanic, that was within a few days after it first set sail. During its time, there was nothing larger or more luxurious than the Titanic. However, it was its very size that also caused it to sink. It was too massive given such a small rudder, it had a hard time slowing down and turning. For the rest of the world, we are still caught up in the size of things. We either want to have the biggest or smallest of something – the biggest car or the smallest electronic device to getting a venti cup of coffee. No one wants to be in the middle. Size does matter. What we do with it is up to us. The sinking of the Titanic because of a mere iceberg is a reminder from Mother Nature that there is nothing we can make that can be more powerful than natural forces. Who would have thought that a mere iceberg could bring down one of the grandest ships in the world? No matter how big your house is, it can be blown away by a storm. The largest ship in the world can sink. Entire cities can be destroyed by an earthquake or tsunami, as seen in Bali, Indonesia, as well as in Japan. Entire crops can be lost because of a typhoon, and the entire city of New Orleans can be placed underwater because of a single hurricane. This is a lesson in humility that everyone in the world can think about and learn from. The way White Star Lines handled the passengers of the Titanic has become a social commentary on social class distinctions. Even in an emergency, the first class passengers get preferential treatment than those who didn’t pay the higher fare. Sad to say, this is still true today as it was a century ago. Even if we say that we have made great strides in equalizing opportunities for people, there is still a disparity in the way the rich and famous get treated, compared to the rest of the population. The captain of the Titanic got warnings from other ships about an iceberg on the Atlantic Ocean. Who knew what exactly was going on his mind but he didn’t heed the warning. Next, the passengers themselves had no sense of danger or urgency even as the ship hit an iceberg. People were even playing with the ice from the iceberg! Drinks were still being served and the band kept on playing. Maybe more lives would have been saved if people acted more quickly. In today’s world, there are several events going on that are giving us titanic warnings. Climate change comes to mind. We are already getting many warnings in the form of the slow extinction of several species of animals, the change in weather patterns, the decreasing supply of food and the increasing number of illnesses. If we don’t listen to these warning, we’re going to sink just like the Titanic. When there’s an emergency or opportunity, you need to move fast or get left behind. If you’re too slow, you will miss out on the lifeboat or you may not get a chance to save yourself. There have been many accounts of remarkable acts of kindness and bravery that have come out of the sinking of the Titanic. This is true for any emergency or disaster. It is these stories that we remember. It is well known that the band, led by Wallace Hartley, kept on playing even as the ship was sinking. The wireless operator Jack Philips, has been given a memorial in Godalming. Survivors have given accounts of the bravery of the crew. There was also a massive mobilization of efforts to raise money to help the families of the survivors after the ship sank. This still happens today in the form of telethons and other charity fundraisers, and is a wonderful peek into the courageous and generous nature of the human spirit. There are a number of ways the sinking of the Titanic is being remembered on its centennial. The movie Titanic is being re-released in 3D, along with an HBO mini-series of the same name. A stage play entitled “Iceberg-Right Ahead” is being performed in London, while other similar productions are being held in Belfast and in Liverpool. The Royal Philharmonic Orchestra also made a performance in London to commemorate the event. In London and Las Vegas, there is a traveling exhibit featuring artifacts from the sunken ship that are on display to the public till the end of May. Believe it or not, there is a Titanic Memorial Cruise. In Michigan, the Grand Hotel is hosting a Titanic themed weekend mid-May. Belfast has gotten in on the bandwagon, as this is the city where it all began. There is the Titanic 100 Festival, featuring a number of tours and various activities. Finally, in Southampton, Hampshire, the $25 million Sea City Museum opened its doors to the public, with a wing featuring the 549 residents who died when the ship sank. In Nova Scotia and Canada, various activities are being organized by the organization Titanic 100. There’s even a Facebook page on the centennial celebration. These just all prove that the lessons and stories of the Titanic remain alive today with people all over the world, as it did a century ago. If there's one lesson I got from the Titanic, it's be prepared for the worst. To be precise, the ship is one of the main reasons I went out of my way to get a philippine prudential plan in the first place.